Steel production. 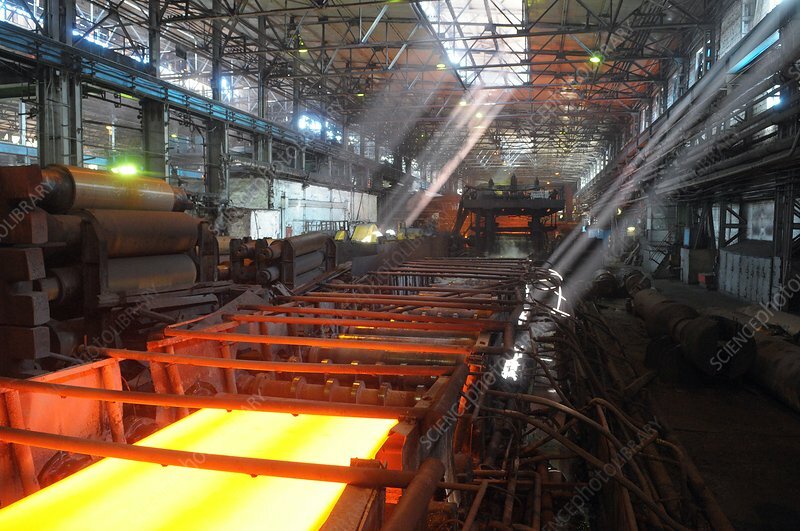 A sheet of steel being pressed through a rolling mill. This reduces the sheet steel to a uniform thickness. Photographed at the Ashinsky Metallurgical Plant in Chelyabinsk, Russia.